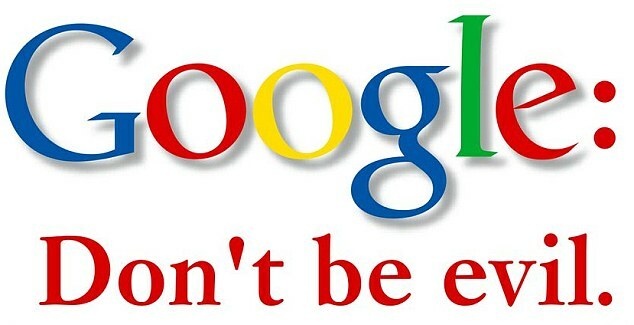 It’s time to dismantle Google and any other tech company that interferes with Freedom of Speech. They may hide this memo under the pretense ‘internal research’ but my question is why even promote such ideals in the first place? What need is there to research topics that interfere with the Freedom of Speech? Google is one of those companies that needs to be dismantled, broke apart into pieces and reorganized so that it can abide by the law. They are not the deciders of policy for this nation or the American people. They have no business in determining the legitimacy of free speech. Regardless of their position, beliefs and ideas is irrelevant; they are NOT AN GOVERNING BODY. They are taking this censorship and suppression of free speech to unsafe levels. This will not be tolerated, they will lose and We The People shall be victorious. It’s time we take the fight to these tech companies and dismantle them. Bye Bye Google leadership, bye bye Facebook leadership and bye bye any other company that interferes with American Virtues. Your days of deciding what is ‘true’ and ‘false’ is at an end; because history will come to understand that you were wrong much more than you were right. Acceptable social norms will collapse when the totality of the Truth is revealed and all those in these current day tech companies will suffer a HUGE reputation hit and will be phased out or restructured in order that transparency, honesty and integrity may once again reign upon this great nation. An internal briefing produced by Google and leaked exclusively to Breitbart News portrays President Trump as a conspiracy theorist. The briefing, titled “The Good Censor,” argues that Google and other tech platforms must abandon their commitment to the “American tradition” of free speech if they wish to continue global expansion and appease advertisers. It can be read in full below. A Google spokeswoman said the document should be considered internal research, and not an official company position. One of the reasons the document cites for alleged public disillusionment with free speech on the web (“users are asking if the openness of the internet should be celebrated after all,” claims the briefing) is the fact that it allows “conspiracy theories” to spread. At the time, Google said that it suppressed negative autocomplete suggestions about everybody, not just Clinton. But it was comparatively easy to find such autocomplete results when searching for Bernie Sanders or Donald Trump. Independent research from psychologist Dr. Robert Epstein shows that Google searches did indeed favor Clinton in 2016. For seven years, the European regulators have been investigating Google’s business practices and the company’s overarching dominance in searches and smartphones, reports The Guardian. Unlike the U.S. Federal Trade Commission (FTC), who opted not to pursue any similar charges in 2013, EU regulators found that Google “artificially and illegally” pushed “its own price comparison service in searches” and slapped a record €2.42bn fine, or $2.7 billion. The ruling also includes demands that Google stop these activities within three months, as well as give an explanation of ” how it will reform its ways.” If they don’t, they could face fines up to €10.6m a day. Who could have imagined that one of the largest media companies on the planet – begun in the United States, where freedom of speech and expression is enshrined in our founding document – would become one of the biggest censors since Nazi Brown Shirts roamed Germany burning books and beating political opponents? Welcome to Google 2017, where far-Left ideologues who manage the company’s media operations are set to decide what their readers can and cannot see, based solely on political ideology. Google is to start displaying fact-checking labels in its search results to highlight news and information that has been vetted and show whether it is considered to be true or false, as part of its efforts to help combat the spread of misinformation and fake news. The fact-checking feature, which was first introduced to Google News in the UK and US in October, will now be displayed as an information box in general search results as well as news search results globally. In other words, if a Google (or Facebook) editor believes the claims to be false – such as, say, a claim by us that there is no evidence to support the Democratic and establishment media narrative that “Russia hacked the election to help Donald Trump,” even if we offer proof in our reporting – that story will be accompanied with a “fake news” label. The next step, mind you, will be out-and-out censorship, along the lines of what CNN host Don Lemon did last week after the bombshell story broke outing former Obama National Security Advisor Susan Rice as the one who unmasked Trump campaign and transition team members, for political purposes. Because he is an Obama sycophant and because he believes the story to be false and a “diversion” from the real story (Trump-Putin “collusion” – which didn’t happen), he made the decision to purposefully ignore it. 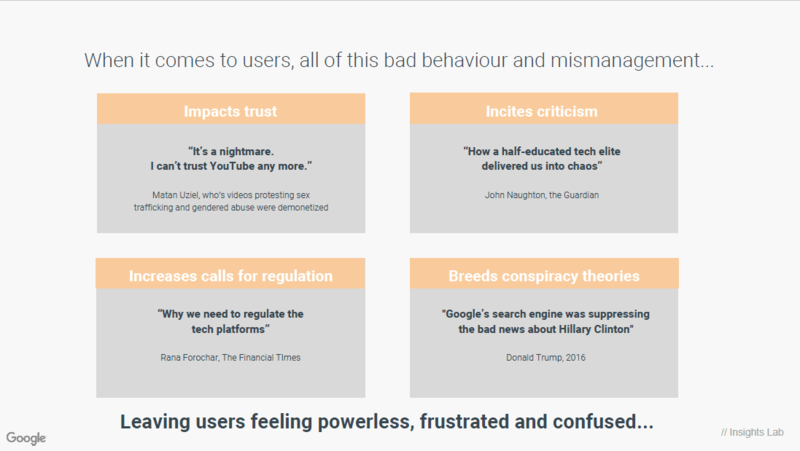 Nevertheless, Google and Facebook are defending their decisions to arbitrarily assign ‘fake news’ labels to any stories they don’t like or don’t agree with. Let’s be clear about one thing: There certainly is a fair amount of fake news being published online, but much of it is coming from the Marxist media establishment that includes networks like CNN, as well as legacy newspapers like The New York Times and the Washington Post. Time and again, in the lead-up to the Nov. 8 election with fake polls showing a massive Hillary Clinton win, to fake news reports claiming Russia used hundreds of websites to spread anti-Clinton propaganda, to the wholly discredited “Russia hacked the election to help Trump” narrative, it’s been the so-called “mainstream media” that has been discredited. But because it shares a far-Left Marxist ideology with the founders of Google and Facebook, the fact-filled alternative media – which regularly publishes reports that diminish Alt-Left Democrats – are the ones regularly punished. If you seriously want to avoid being duped by the social media giants who now actively censoring real media on their news feeds, bypass them and monitor Censored.news throughout the day, where truth is always available. Posted in Google, The Event.